Kits include aluminum cylinder with nickel-carbide coating designed with larger water jackets. Includes Forged piston, rings, clips and pin. Athena top-end gasket set includes required seals and hardware. Most are bolt-on; no machining required except where noted. 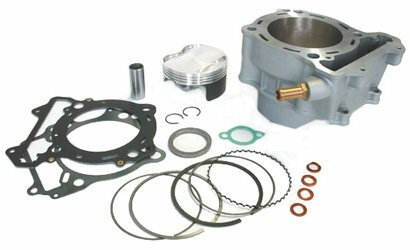 Purchase Athena Big Bore Cylinder Kit (392cc) – 68.00mm Bore P400485100024 at Discounted Prices ✓ FREE DELIVERY possible on eligible purchases.